Happy New Year! This is the time of year when we start thinking about resolutions and all the things we’re going to change in the year ahead. We approach resolutions with good intentions, unfortunately most don’t make it into Spring. I have found that small simple changes are easier to sustain and can have a lasting impact. This year my resolution is simple, I want to meal plan, something I already do most weeks. The weeks I do not plan our meals are much more stressful. I also want to focus on simple easy dinners that allow our family to spend time together during those precious evening hours. Take a look at how I am making meal planning a priority in 2018 and a favorite, simple meal on my menu. There is also a giveaway for a family fun package at the end of this post. I have decided to use a dedicated meal planning calendar and keep it in my kitchen. In this calendar I have notes and recipes of meals my family enjoys that I can rotate through each week. I like to plan my menu and go grocery shopping on Sunday so we are ready for the week ahead. 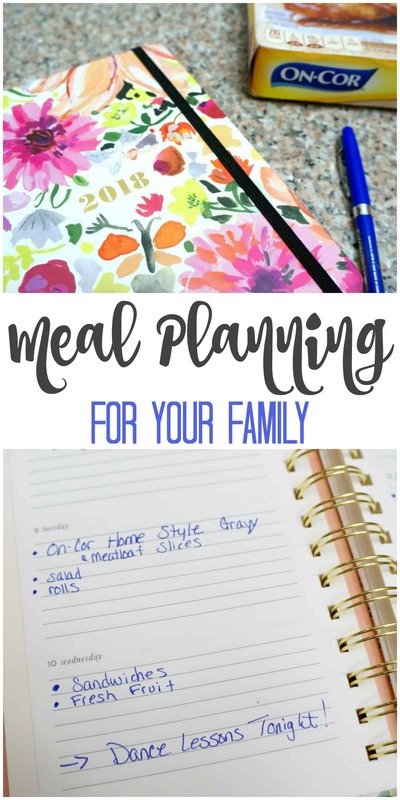 Meal planning is as simple as looking at the week ahead and writing down what we will have for dinner each night. It’s helpful to keep in mind what activities we have each night and when our schedule calls for something quick and easy versus a full sit down dinner. Each week we have an On-Cor meal on our menu. I like that these frozen, fully-cooked entrées are conveniently packaged and ready to heat and serve. This saves me time in the kitchen and allows our family to spend some time together while our meal cooks. 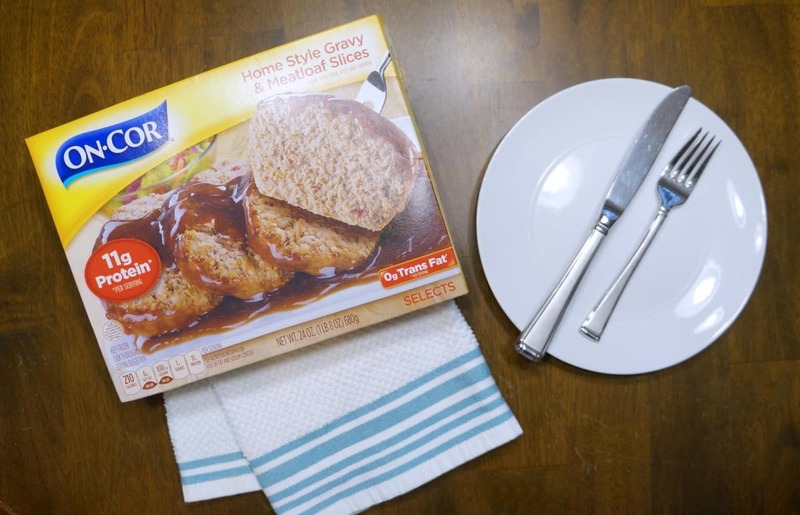 I like that we can change up our On-Cor meals each week and get creative serving On-Cor entrées as is, or putting a personalized spin on them, such as turning the Gravy & Salisbury Steaks into sliders, or adding chicken to the flavorful Macaroni & Cheese. 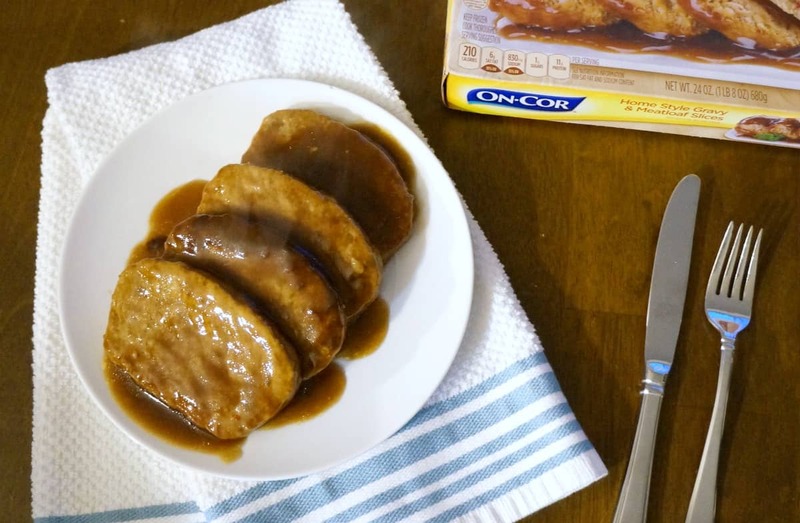 My family enjoys the hearty Homestyle Gravy and Meatloaf Slices and I appreciate that On-Cor has recently enhanced their products to satisfy the needs of moms looking for convenient, quality dinner solutions for their families. They taste great, are easy to cook and really help me keep my New Year’s resolution. On-Cor has a simple mission—to offer quality, multi-serve entrées that everyone loves. A little family time while dinner is cooking is always fun, and an On-Cor entrée makes this special time possible. My girls love to help in the kitchen and can often be found digging for ingredients and helping assemble side dishes or a tasty dessert. If you are like me and want to simplify your evening routine I encourage you to give meal planning a try. 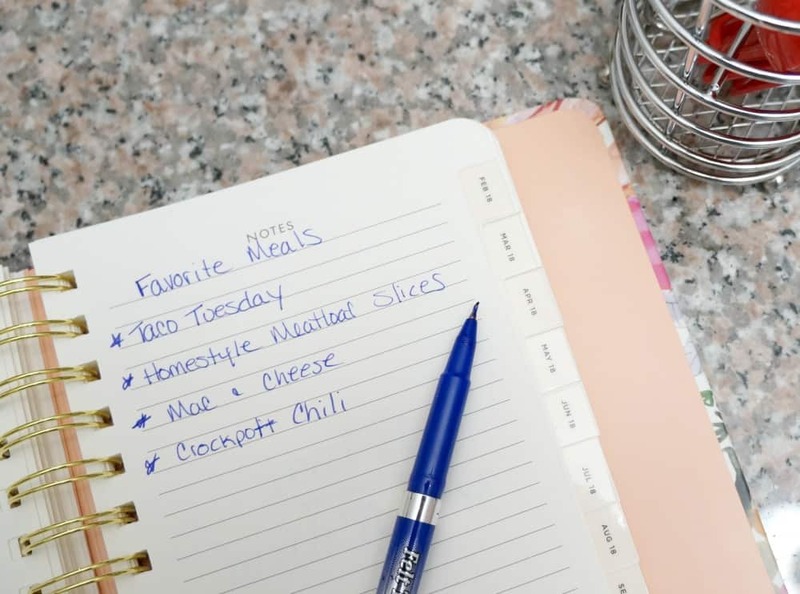 Grab a calendar and plan out your meals each week, be sure to include simple and delicious entrées from On-Cor to take some of the stress out of cooking. To help jump start your resolution I want to give one lucky reader this family prize pack. These items are perfect for enjoying a little family time while your On-Cor entrée is in the oven. To enter, leave a comment below telling me what your favorite On-Cor entrée is or what your New Year’s resolution. This giveaway is open to US residents 18 years and older and ends 1/12/18. Winners will be chosen at random and notified via email. 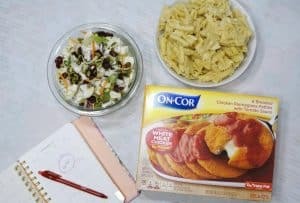 For your next family meal, head to the freezer aisle of Meijer or check out the store locator at on-cor.com to pick up one of On-Cor’s entrées. Great post! My New Year’s resolution is to be more present with my kids and less distracted by my phone and all the “stuff” that needs to get done. That is a good one, I am with you on being more present. Best of luck in the new year! Love the On-Cor chicken parm. Love this article as we are trying to be more organized with what we eat! That’s a family favorite here too! My resolution is to no longer eat restaurant food. This was actually my resolution last year, but I had pizza on a couple of occasions. My kids and wife still eat out all the time, but for dinner we eat home cooked stuff. For pizza nights we make them together as a family, and our kids enjoy “topping” their own pizzas. 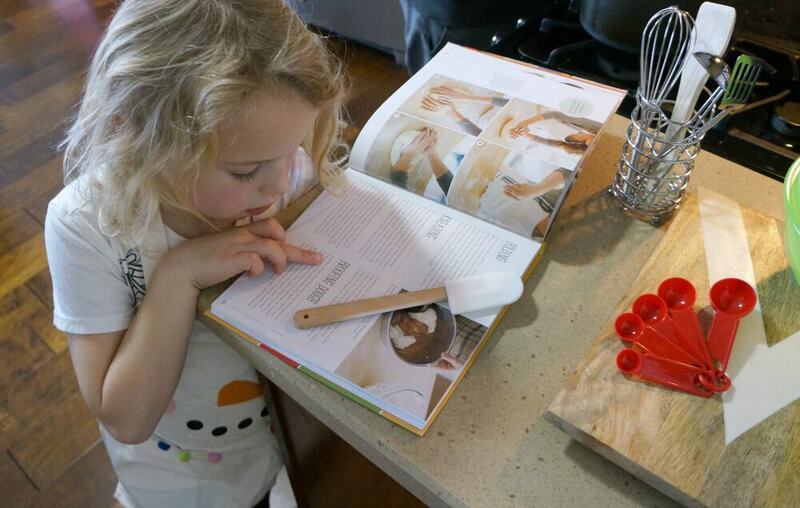 Cooking with the kids can be frustrating sometimes, but it can also be a great way to spend time with them. 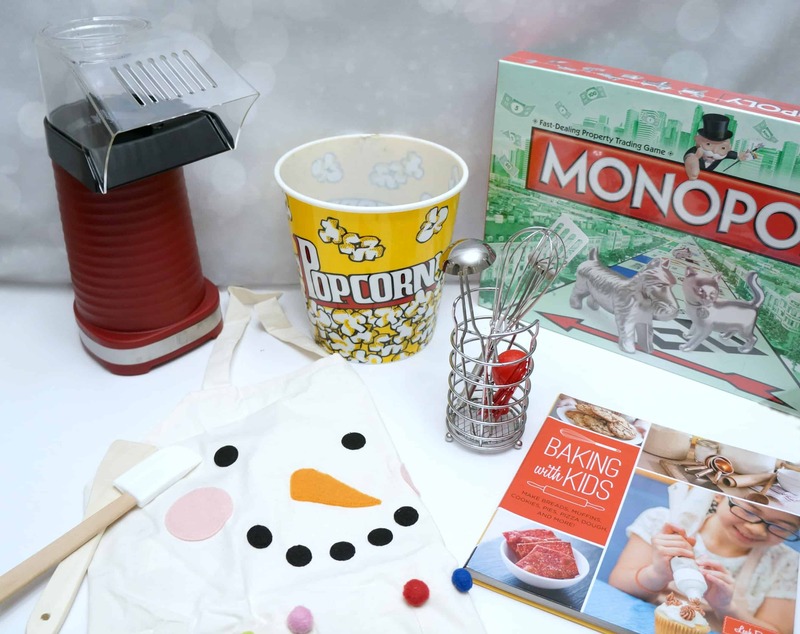 The children’s baking book included with this giveaway really fits well with that. That sounds like fun and a great way to keep your resolution. My New Year’s resolution is to continue to stay positive, surround myself around positive people and just be happy, life is too short. I like the Chicken Parmigan and one of our new year’s resolutions is to lose weight and save more. My resolution is to be more organized. 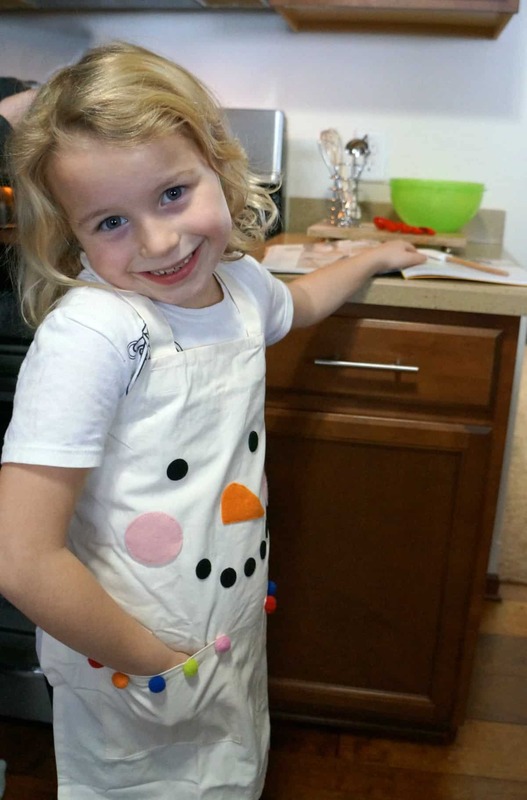 I would probably pick the salisbury steak entree, and the snowman apron is too cute. I hope 2018 is your year for organizing, thanks for reading Helen. My resolution is to declutter our house. I like that one Lauren, that is always on my list. Hope it happens for you this year. Favorite is the chicken parmigiana. My new years resolution is too exercise more often. My resolution is the same as last year… loose 10 pounds. I always get off to a good start, then after losing 5 pounds I slack off and by the end of the year that 5 is back on again. This could be your year, best of luck to you and thanks for reading. Love the ON-Cor Lasagna!! mY resolution is to save money this year for vacation! Whatever you say is good, I believe you. Resolution: Carve out considerable time for enjoying a new grandbaby. I love that, it’s so important yet I find it’s so hard to do. I have never tried these meals, but look like a time waver. Especially since my New Year’s resolution is to be more present for my family! Yes, that’s what I love about these. A good meal that give you extra time with your family. The kids love the popcorn chicken and the mac & cheese. My resolution is to eat healthier and cook healthy meals for my family. My fav is the lasagna. It is cheap and fast to make. When You are a single mom you look to save money and time! Plus it is delicious. My son loves it so much! Which gets me to my next point. My new year’s resolution was to lose weight and also spend more time with my son. The best part of En-Cor dinners is the time it saves. I can exercise and my son and I can go for walks. Its perfect! We would be so so excited to win. I have never owned a popcorn maker and my son is really getting into board games now. It would just be perfect. Thank you for the chance!